Because EU servers were offline and Funcom have a lot of problems after last update, raid on Yakhmar will now be on friday (20.02.2009.) at the same time. 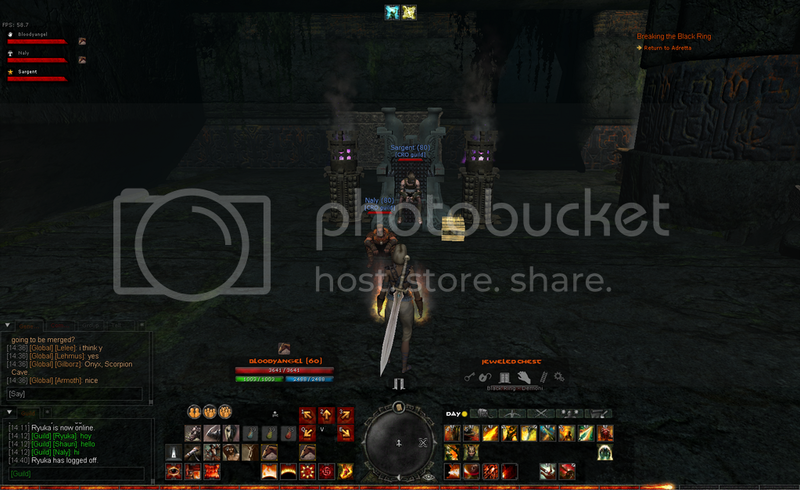 You can access to site through domain www.cro-guild.com thanks to Nefeli. Finally we have our new raid planner up and running, and from now on this is what we will be using. If you have any suggestions or comments or want to report a bug please send Me, Redangel or Snyder a tell. The EU servers will come down for the announced server merges on Thursday, 15th January at noon GMT (13:00 CET). The duration is scheduled to last about 24 hours. We kill Kyllikky in first try with full raid from Cro Guild and Demonic Knights!!! We found new level 80 Boss and his Priest of Doom Mini Boss. They guard Epic loot. We need to organize full raid on them!!! Members, create you characters on site! You need to be logged in on forum, then go on "My Characters" in upper right and then click on icon in bottom right of content part of site! Yours my guild members and our friends from Demonic Knights!